Each week, students participate in a survey asking about something they've learned or done in a class, club, or other activity that helped them make progress toward our Schoolwide Learner Outcomes. 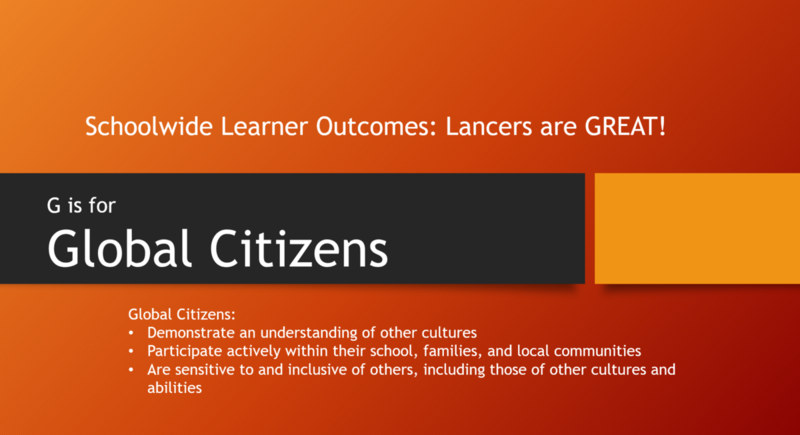 In our Focus on Learning, Lancers are GREAT! G is for Global Citizens. Are sensitive to and inclusive of others, including those of other cultures and abilities. Click on the link to see how our Lancers are becoming Global Citizens.